The advantage of an external blind is that it keeps the sun off the glass and is far more effective at reducing heat than an internal blind.Exterior blinds and awnings can reduce entry of solar energy by up to 80%. By comparison, solar film or interior blinds typically offer 40% protection – source: CSIRO Division of Building Research. A difference of about 70-75% reduction in cooling requirements is obtained when interior blinds are replaced by an external shading system – source: Assesment of Energy Performance of Window Shading Systems at the Canadian Centre for Housing Technology. Ozsun External Shutters are made from reinforced extruded aluminium, and are available in a full range of powder-coated colours to meet Australian Standards. They are hard wearing and easy to clean. 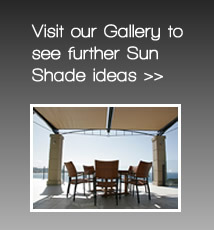 Ozsun awnings & blinds can be fully automatic for ease of use, with optional sensors to adjust for sun, wind or rain. Helioscreen has over 25 years experience in manufacturing bespoke external blinds. Based at Brookvale on Sydney’s Northern Beaches, Helioscreen is Australia’s leading distributor of adjustable sun control solutions. Designed and manufactured in Australia. The innovative Ziptrack sealed blind system shields you, your space and your furniture from wind, rain, and glare. The System 3000 is a simple robust straight drop external blinds, perfect for verandahs, pergolas, patios and semi open spaces. Traditional rope and pulley operated external blinds with canvas, mesh or acrylic fabric. External venetian blinds are a contemporary solution for regulating internal temperature, and controlling privacy and sunlight. Ozsun’s range of contemporary sliding, bifold and hinged louvre shutter systems are designed for the harshest conditions.